While it ranks below feeling connected to family and friends, having your finances in order through good money management ranks right up there with excellent health as an accomplishment that makes for a higher quality of life well into your Golden Years. Unlike excellent health, however, with its uncontrollable genetic component, good money management is, for the most part, available to everyone. Whether you’re a natural whiz at managing the ins and outs of your money, or you’ve worked for years to make it look natural, here are five tips that will guide you to improve your money management skills. Setting goals is something all good money managers do, but how specific do you get? If your goals are as broad as, “Manage money better,” how will you know — until you experience the unexpected effects of managing money poorly — whether or not you’re succeeding? You have to get specific. It isn’t enough to set a goal of saving more money; declare how much you’re going to save each month and then set about doing it. Likewise, it isn’t enough to say you’re going to pay down debt. Set a specific goal of reducing your debt by a certain percentage by the end of the year, and then, craft a plan that will help you follow through. Only by getting as specific as you can about every financial goal you have will you be able to take the steps necessary to reach them. The rise of the debit card has allowed for far too much wiggle room in many people’s spending — even the spending of self-professed excellent money managers. Whether it’s a $2 coffee or a $.50 newspaper, tracking all your spending all the time is the only way to truly know where your money is going. Not only does keeping track keep you attentive and aware of the places in which you may need to tighten your belt, but it will also keep you safe against unauthorized charges or a rare mistake committed by your bank. Don’t trust the system, and don’t trust your memory. Write it down as you spend it, and you’ll always know exactly why you did — or didn’t — meet your financial goals. Many good money managers are good at saving money, but if you aren’t yet investing, your money isn’t working as hard for you as it could be. Investing can seem tricky. Especially if you didn’t grow up in an investment-savvy family or major in finance or banking in college, figuring out how to invest might seem daunting. If that’s the case, seek out help. Find a financial adviser you either know well or one who comes highly recommended by someone you trust. 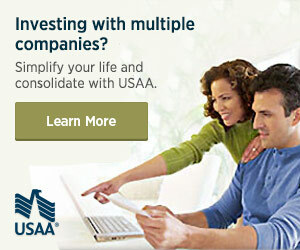 Get some investment counseling, and start putting your eggs into multiple, interest-earning baskets. Savings is great, but alone, it isn’t likely to give you the freedom and flexibility you probably desire. Spend more than you make seems to be the American way, and while good money managers steer clear of this trap, they still might not save as much as they could. Automating savings withdrawals from your checking account will make it impossible for you to fail at saving. Especially if you follow your budget well, you won’t even notice that pile of money over there that’s slowly getting larger. Automation can be utilized to make sure you always pay bills on time, too. Many good money managers look down the road at the next five years and at retirement, but it can pay to look even further. What will your financial situation look like in 10 years? In 15? What would you like it to look like? What if you plan to live for 20 years after you retire, but you actually live for 30 or more? By thinking in longer terms, you can see more easily where the gaps in your financial planning might exist. Then, you can address those gaps meaningfully. Longer-term thinking isn’t about knowing the future; it’s about exercising your imagination across a greater swath of what life might be like for you down the road, so you can have the money you need when you need it. So, don’t settle for just being good enough. When it comes to money management, everybody’s got something they can improve in. From automating your savings to thinking more creatively about the longer-term, follow these five tips to better money management.